The bandh is being supported by several Dalit groups. 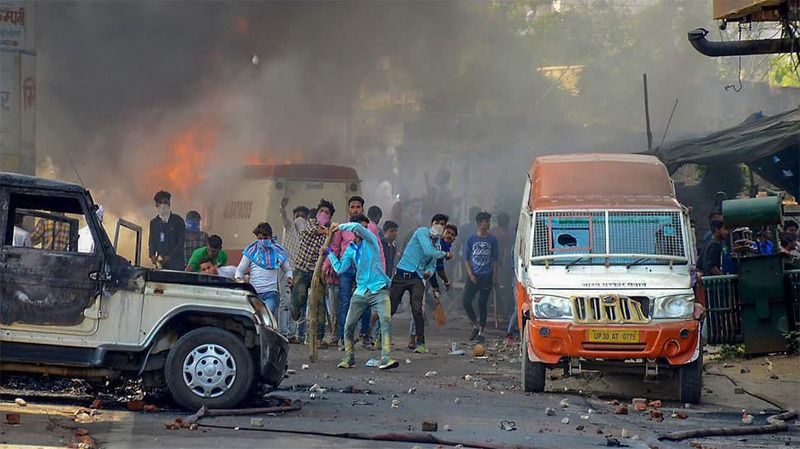 New Delhi: Violence erupted in many states across India as Dalit protesters blocked trains, clashed with police and set fire to vehicles during a nationwide bandh against the alleged dilution of the SC/ST (Prevention of Atrocities) Act. Transport, mobile and internet services were hit in many states with over 100 trains getting affected due to protests, even as the Centre moved the Supreme Court seeking review of its recent judgement on the SC/ST Act, maintaining that the verdict will violate constitutional rights of these communities. While some states had ordered the closure of educational institutions as a precautionary measure, incidents of arson, firing and vandalism were reported from MP, UP, Rajasthan, Bihar and Punjab, among other places. Meanwhile, the Union Home Ministry has asked all states to take preventive steps and maintain public order to ensure the safety of lives and property. At least nine persons have been killed and hundreds injured during the nationwide bandh. In Madhya Pradesh, at least six persons have died, while two persons died in Uttar Pradesh and one in Rajasthan, PTI reported. Punjab Chief Minister Amarinder Singh has directed the security forces to stay on alert in view of the "volatile situation" prevailing in some of the neighbouring states. Ghaziabad: All schools and colleges, except schools conducting board examinations to remain closed tomorrow following protests over SC/ST protection act today. Few unfortunate incidents took place today. Strict action will be taken against those responsible. I appeal to everyone to maintain peace and harmony, and not pay attention to rumours. It is government's responsibility to ensure safety and security of all sections of the society, says MP CM Shivraj Singh Chouhan. Bharipa Bahujan Mahasangh leader Prakash Ambedkar says the Supreme Court and the Centre were responsible for Monday's violence in various states during the nationwide bandh called by Dalit outfits. "Government and the SC are responsible for this violence. 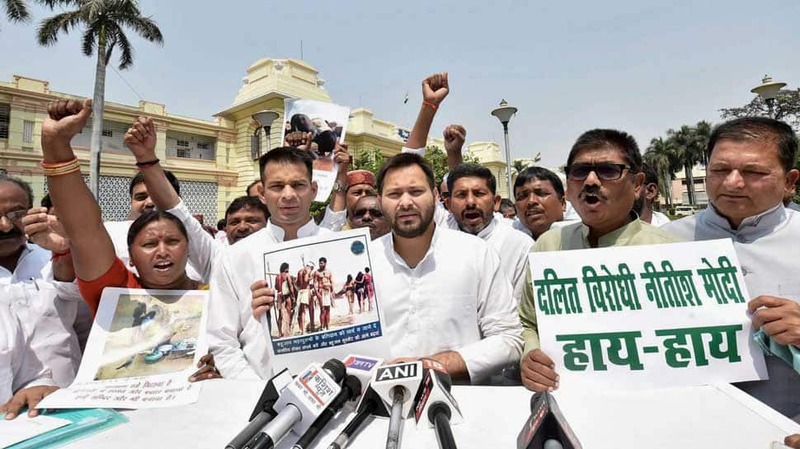 The government is creating an unsafe atmosphere for Dalit communities while the apex court's recent order diluting the SC/ST Atrocities Act has forced the community to take to streets," the grandson of Dalit icon BR Ambedkar said. I am deeply pained by the acts of violence and loss of precious lives in some parts of the country today during protests in context of the Scheduled Castes and Scheduled Tribes Prevention of Atrocities Act. The Govt. of India is committed to ensuring welfare of SC/STs and other weaker sections and also guaranteeing them full protection of law. The Govt. has already filed a review petition in the Supreme Court to maintain the SC/ST Prevention of Atrocities Act in its presents form. I appeal to all political parties to help in maintaining harmony among different sections of the society. I also appeal to the people, not to fall prey to rumours and false propaganda unleashed by mischievous elements. The Government of India has advised all states to maintain law and order and we are ready to provide assistance to any state that may require so. The Centre rushes 1,700 anti-riot police personnel to Uttar Pradesh, Madhya Pradesh, Rajasthan and Punjab. While eight companies of the Rapid Action Force (RAF) were sent to Uttar Pradesh, four companies were dispatched to Madhya Pradesh and three to Rajasthan, a Home Ministry official said, PTI reported. An RAF company consists of around 100 personnel. Many people have been detained across all districts in Rajasthan. Internet services was suspended and section 144 was imposed in certain districts, says DGP. Madhya Pradesh, UP and Punjab have so far requested for Central Forces. Rapid Action Force (RAF) and CAPFs have been made available. Ministry has asked the states to take all preventive measures and maintain public order and ensure the safety of lives of people and property. Union Ministry of Home Affairs is closely monitoring the situation in the wake of #BharatBandh protests. The Ministry is in constant touch with the states. Whichever state has asked for Central Forces, they have been made available immediately. Two more deaths have been reported. One from UP's Muzaffarnagar and one from Rajasthan's Alwar, as per reports. Rajasthan CM Vasundhara Raje‏ appeals for peace, says 'our government is committed to the protection of the rights of SCs and STs. It has been our Govt which further strengthened the protection for backward castes by passing The Scheduled Castes and the Scheduled Tribes (Prevention of Atrocities) Amendment Act, 2015. Our Govt is not only committed to protect the rights given to SC/STs but is going one step ahead and holistically improving their lives. For years, they have been used as mere vote banks to form Govts. We are empowering backward castes as nation builders to create a New India. people of backward castes are empowered to become entrepreneurs. I support the protest against the SC/ST Act. I have got to know that some people spread violence during the protests, I strongly condemn it. Our party is not behind the violence during the protests, says BSP chief Mayawati. Centre sends four companies to MP and UP. Four RAF companies also deployed in Meerut, Hapur, Agra, Gwalior and Bhopal. Police lathicharges protesters in Haryana's Yamunanagar during Bharat Bandh. Bus vandalized and set ablaze during Bharat Bandh protest in Azamgarh. At least 19 people were injured in Madhya Pradesh's Gwalior, out of which two are in critical condition. Internet service have been blocked in Gwalior district till 6:00 am on Tuesday. "The central and state governments are dedicated towards the welfare of backward castes, SC & ST. I appeal to all to not disturb the law & order. If at all there are any issues you can bring them to govt's notice," said UP CM Yogi Adityanath.